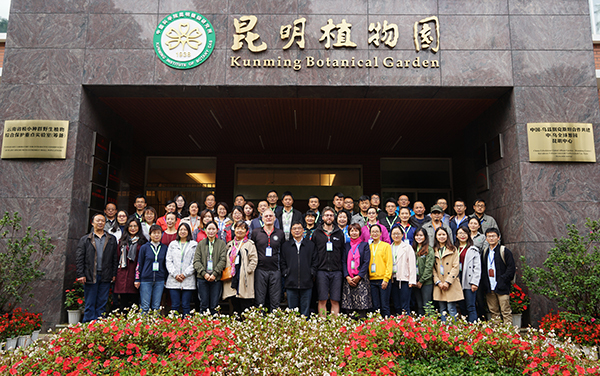 On July 17 to 22, staffs from Xishuangbanna Tropical Botaincal Garden and Jingdong Subtropical Botanical Garden jointly made a wild survey in Jiangcheng County. Jiangcheng Hani and Yi Autonomous County，located in Wuliang Mountain, south of Yunnan Province, borders on Vietnam in the Southeast, Laos in the South. The team members have gone to five tows and two villages, especially the regions where the forest is better preserved, like Huitou Mountain in Kangping, Mengkang, Mingzi Mountain in Jiahe. They have found and introduced 44 wild plant species after their investigation. Included are 9 plants that posted in Zero Extinction list, which are Caulokaempferia coenobialis、Begonia rex、Gomphostemma latifolium、Saurauia miniata、Hemiboeopsis longisepala、长Archidendron alternifoliolatum,ect. They have introduced them to the two gardens respectively according to the habitat and altitude.